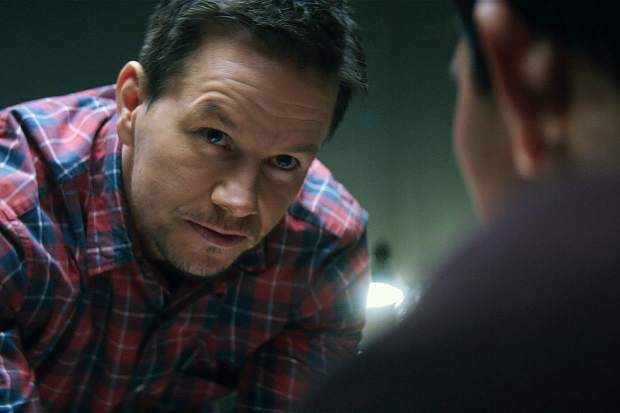 Mark Whalberg in "Mile 22"
I love action movies from the bottom of my heart, which just means it’s that much more disappointing when I have to watch a terrible one. “Mile 22” is the cinematic equivalent of those people who think they’re clever but are really just annoying, the ones you can’t even argue with successfully because logic isn’t something they really worry about. It’s not even dumb in a fun way, the kind of action movie where you can shut your brain off and just enjoy all the punching and kicking. No, “Mile 22” has a vendetta against the audience, and it tries at every turn to make you sorry you voluntarily paid the money to watch it. The movie’s action scenes are its one redeeming feature, particularly the close combat fight scenes, but nearly everything that happens between them is either boring, poorly written or just flat-out unpleasant. Since this is a movie that depends a lot on “surprises,” I’ll keep the plot details to what can be seen in the trailers. A mysterious figure shows up at a United States Embassy and demands to be sent to America in exchange for information that could potentially stop several terrorist attacks. Mark Whalberg’s team is charged with getting the mysterious figure to an extraction airplane within a ridiculously tight window of time. Unsurprisingly, several different people try to kill them on the way there. I can appreciate a movie that leaves you constantly guessing who the good guys are, but generally those movies include the kind of tense, exciting writing that makes you repeatedly question everyone’s motives. “Mile 22” doesn’t have time for that kind of writing, throwing in plot twists without bothering with things like foreshadowing, narrative explanation or even any real logic. Things happen simply because the writers want it to happen, and before long it feels like you’re just watching an angry child dragging puppets across the screen. Actually, puppets might have been what filmmakers were going for, because they don’t bother giving 90 percent of the people onscreen any kind of personality. The only two characters that get something even close are Lauren Cohen, whose character deserved to be the lead, and Whalberg, whose characterization was stuck firmly in “complete jerk.” Whalberg’s character also showed that the writers have no clue how to write mental illness, and possibly don’t even know how to use Google well enough to do basic research. Iko Uwais’ performance was fantastic as Li Noor, but the script didn’t give him even the smallest crumb to work with. The one thing filmmakers seemingly knew how to do was the action scenes. The larger scale battles were brutal but interesting, with decent choreography and cinematography. It was the one-on-one fight scenes that were the real delight, however, and I hope to get many more cinematic opportunities to watch Uwais kick a whole bunch of people. In the end, though, all you’re left with is the feeling that you’ve just wasted an hour and a half of your life. Do yourself a favor and skip this one.